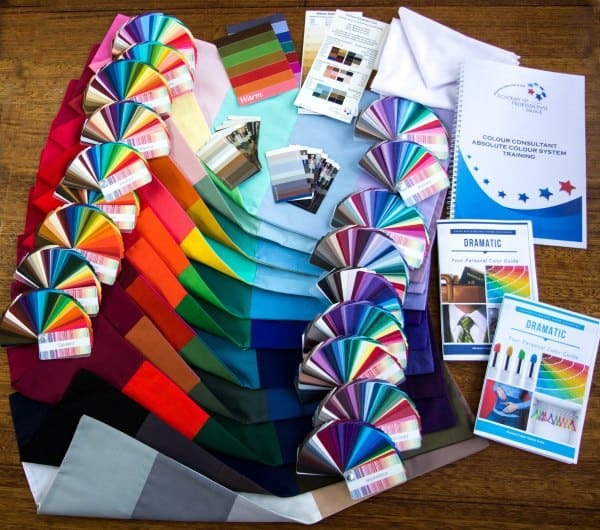 The Absolute Colour system of 18 groups heralds a new direction in personal colour analysis. The names for the 18 colour system came around when I started the new system. I knew that using the seasonal references were no longer valid from both a reflection of the colours represented and also to be truly global with the system the seasons as such held no relevance in Equatorial and Asian countries. Next I wanted to make it apparent that this was something new and original. Using existing terminology would not work to the point where I had heard groups referred to in the past as dull and dusky. Now who wants to be that. Looking at each group I could see and feel an energy, an emotion. There was a mood and a feeling described by each individual colour group. It was from this basis that I started naming the groups, or should I say, they named themselves.